The Bose QC20 are average mixed usage headphones with excellent noise cancellation for commuting and loud environments. They're well-designed, durable, comfortable and compact and stable enough for the gym. 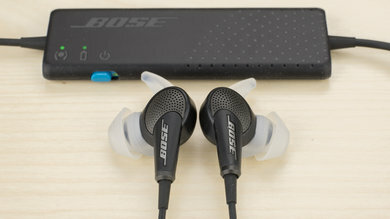 Unfortunately, their audio reproduction is subpar when compared to some of the more recent releases from Bose like the SoundSport Wireless or the QuietControl 30. On the upside, they barely leak and will block enough noise to be a solid recommendation for frequent commuters. 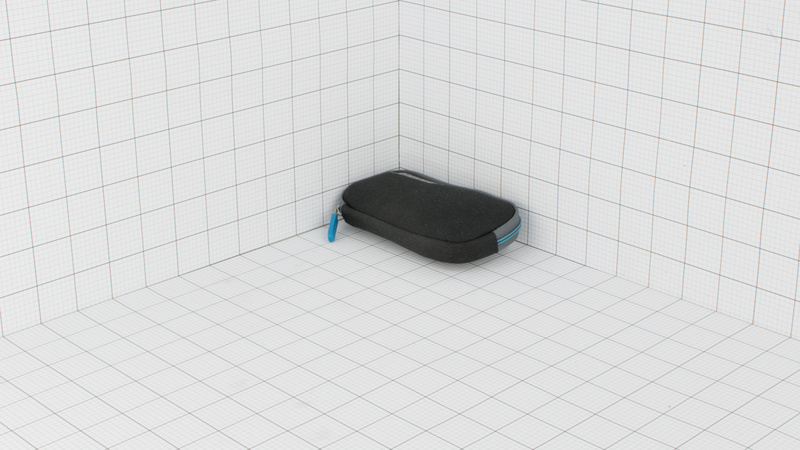 Comfortable stable fit from the StayHear+ tips. 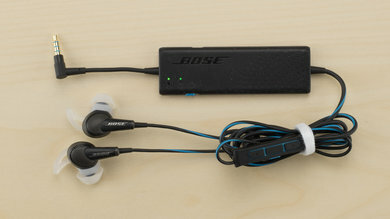 The Bose QC20 are well-designed, comfortable earbuds. They are lightweight, durable and the "StayHear+" tips offer a cozy and stable fit. The buttons are well laid out, and the control module is flat and portable. They come with a decent pouch that makes them easy to have on you at all times. Unfortunately, the rubber finish on the control module will wear off a little over time. The Bose QuietComfort 20 are good-looking earbuds. The cable is rubberized and black, with blue accents for style. The flat rectangular noise isolation generator is latex coated and also has the same blue accent for the on/off button. The StayHear+ tips are curved and designed to fit most ears. 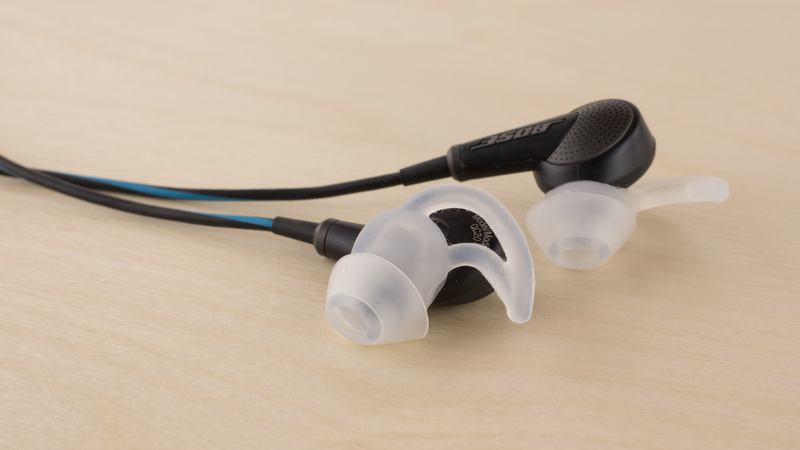 The QC20 have a comfortable earbud design that doesn't enter the ear canal like most in-ear headphones. This makes them comfortable enough to wear for long listening sessions without any listening fatigue. Unlike the over-ear Bose QuietComfort 25, these headphones don't cause too much discomfort when the noise-cancellation feature is enabled. The Bose QuietComfort 20 have a straightforward and efficient control scheme. The buttons are well spaced out and provide all the essential functions; call/music, track skipping and volume controls. The buttons deliver good feedback and the Control Module is very thin and easily fits in tight pockets. The Bose QC20 have a breathable design that won't make your ears sweat more than usual. They trap a bit of heat within the notch of your ear due to their earbud tips and stability fins, but they won't cause a big difference in temperature even during more intense workouts. The Bose QC20 are very portable headphones. They don't take too much space and will comfortably fit into your pockets, purse or bag. The control module makes them a little larger than basic in-ear headphones but is flat enough to not add additional bulk to the design. These earbuds come with a soft fabric case that will protect the headphones from scratches and prevent them from getting tangled in your bag. It also doesn't add much bulk to the already small headphones so it will still fit in your pocket or bag. However, the soft fabric will not shield your headphones from water damage or high physical stress. 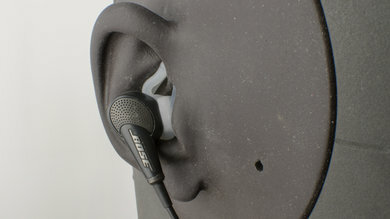 The Bose QuietComfort 20 have a good build quality. The control module and earbuds are dense and durable enough to withstand multiple accidental drops. The cables are also thick and won't easily get damaged by wear and tear unlike some of the cheaper in-ears we've tested. However, the latex cover on the Control Module peels off relatively easily after repeated use but doesn't actually damage the module so it's more of a cosmetic issue. These are stable earbuds that won't easily fall out of your ears. They offer a variety of stability tips that help them maintain their stable fit. They work well as gym headphones and are stable enough to be used while running. Unfortunately, they're not wireless, and the long cable can easily get hooked on something, which will pull the headphones out of your ears. These headphones come with a micro-USB Charging able. 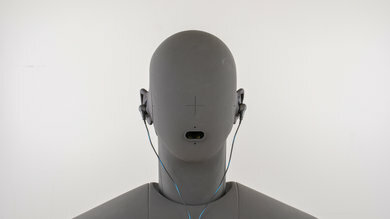 The Bose QuietComfort 20 are a sub-par sounding pair of closed-back earbuds. They have a powerful and extended bass, capable of producing deep thumps and rumbles. They also have a good mid-range, and very good imaging. However, their bass is quite excessive and boomy, which drowns out vocals and lead instruments. Their mid-range is slightly recessed, and their treble is quite uneven and lacking in airiness. Additionally, they perform quite consistently across multiple users and re-seats, but like most other headphones, they don't have a large and speaker-like soundstage. The bass of the QuietComfort 20 is good. LFE (low-frequency extension) is at 21Hz, which is great, meaning they can produce very deep thump and rumbles. However, the entire bass range is consistently above our neutral target by more than 4dB. This makes the overall bass of the QC20 excessively heavy, which sounds boomy and drowns out vocals and other instruments in the mid-range. The Bose QC 20 has a mid-range performance. Low-mid is overemphasized by more than 3dB, which is the continuation of the bass overemphasis. This thickens the vocals and makes the mid-range sound cluttered and muddy. Additionally, the dip/recess centering 800Hz pushes vocals/leads slightly to the back of the mix, by giving more emphasis to the bass and treble frequencies. The QC 20 has sub-par treble range performance. The response throughout the range is rather inconsistent. Low-treble is above our target by more than 2dB, bringing emphasis and projection to the upper harmonics of vocals and lead instruments, and giving a subtle V shape to the overall frequency response. The inconsistencies in mid-treble will make the production of sibilances (S and Ts) rather uneven. Additionally, the lacking high-treble means their sound headphones will lack airiness and brilliance. The frequency response consistency of the QC20 is good. 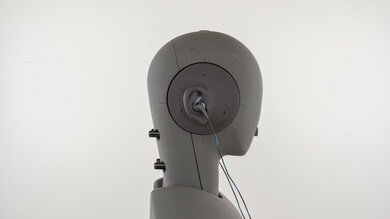 Due to their unique earbud design, if the user is able to achieve an air-tight seal with these headphones, then the bass delivery should be very consistent across multiple re-seat and individuals. The consistency in the treble range is also good, but it is dependent on the placement and more prone to inconsistencies. The imaging is great. Their weighted group delay is at 0.36, which is within good limits. But the GD graph shows that it crosses the audibility threshold below 50Hz, but not enough to have a significant effect. Additionally, the L/R drivers of our test unit were quite well-matched in amplitude, frequency, and phase response, ensuring an accurate placement and localization of objects (voices, instruments, video game effects) in the stereo image. The soundstage is poor. 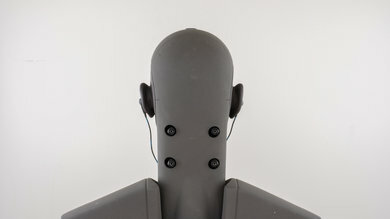 This is mainly due to their earbud design, since activating the resonances of the pinna (outer ear) is one of the key factors in creating a large and out-of-head soundstage and earbuds don't interact with the pinna. 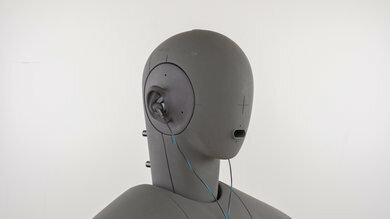 Also, their soundstage won't feel as open and spacious as that of closed-back in-ear's, because of their high degree of isolation. The QC20 has a decent harmonic distortion performance. The amount THD in the bass range is low, and not highly affected by an increase in volume, which is great. However, the bumps centering around 500Hz and 3KHz are on the elevated side, and are affected by an increase in volume making the sound slightly harsh and brittle at those frequencies. The Bose QC 20 have an excellent noise isolation performance. They cancel a great deal of ambient noise which is ideal for traveling and noisy commutes. The earbud design fits well into the ear and provides a tight seal that blocks high-frequencies passively and leaks no sound. This means you can mask even more ambient noise by turning your music up without distracting those around you. This makes them a great choice for noisy and quieter conditions. 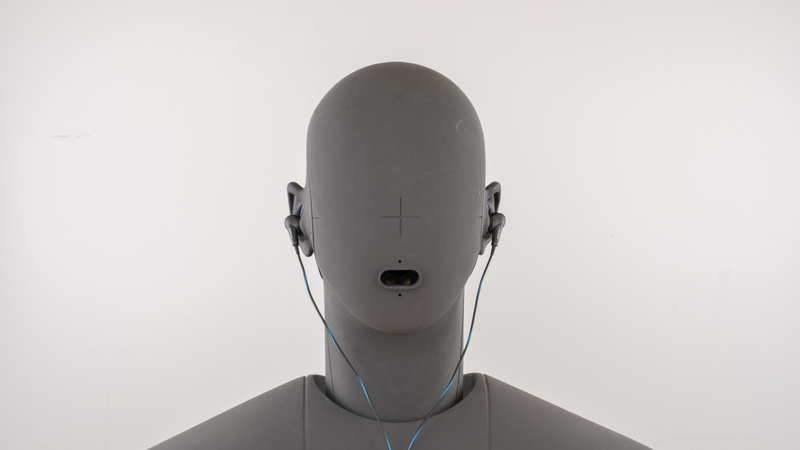 The isolation performance of the Bose QC20 is great. Once the active noise cancellation is enabled, they provide more than 23dB of isolation in the bass range, which is excellent for cancelling out the rumble of airplane and bus engines. 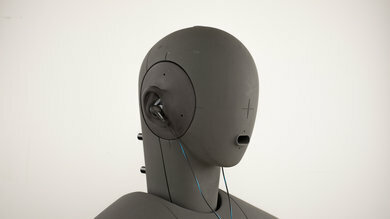 In the mid-range, important for blocking out speech, they achieved about 22dB of isolation, which is also great. In the treble range, occupied by sharp S and Ts, they reduce outside noise by about 28dB, which is above average. The leakage performance is excellent. The significant portion of their leakage is concentrated in a narrow range in the treble. This means their leakage will sound very thin and mostly consist of S and Ts. The overall level of the leakage is also very quiet. With the music at 100dB SPL, their leakage at 1 foot away averages at 27dB, and peaks at around 41dB. Well below the noise floor of most offices. The in-line microphone of the Bose QuietComfort 20 is decent. In quiet environments, speech recorded with this mic will sound noticeably thin, but quite clear and intelligible. In noisy situation, however, they will struggle to separate speech from background noise, and they wouldn't be suitable for use in environments louder than a busy office or a street. The recording quality of the QC20's microphone is decent. In the bass range, they lack quite a bit, except for the area around 90Hz. This results in a recorded/transmitted speech that sounds noticeably thin. 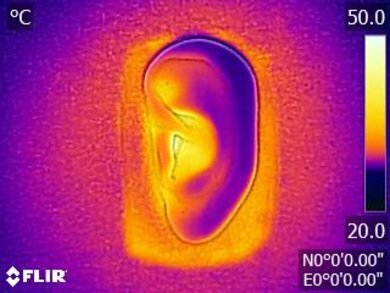 Their HFE (high-frequency extension) however, is at 18KHz, which is great. This, and the flat frequency response mean that speech will sound detailed and present, which makes it easy to understand. The in-line microphone is mediocre at noise handling. In our SpNR test, they achieved a speech-to-noise ratio of 12dB, indicating they are best suited for use in quiet environments. In moderate and loud situations, they will struggle to separate speech from ambient noise. The Bose QC20 have a good battery life but no app support. They lasted about 19 hours on a single charge and would last even longer if you disable the noise canceling feature when you do not need it. You can also use them passively when the battery is depleted or while they are charging but, unfortunately, they have no auto-off feature to power down the headphones when inactive. They also have no app support so they won't be as customizable as some of the newer wireless in-ears like the Jaybird Run. The Bose QC20 have a good battery life. They last around 19 hours and don't take too long to charge. They're also capable of playing audio when charging, which makes them good headphones use at the office or if you have access to a power source on the train or plane. Unfortunately, if you leave them on they will run out of battery because there is no auto-off timer. The Bose QuietComfort 20 only connect via a wired 1/8TRRS audio cable which does not have microphone compatibility with Xbox One or PS4. These headphones do not have any Bluetooth capabilities. If you wan't a bluetooth headset with a similar design to the QC 20 check out the Bose SoundSport Wireless, the QuietControl 30 or the SoundSport Free. 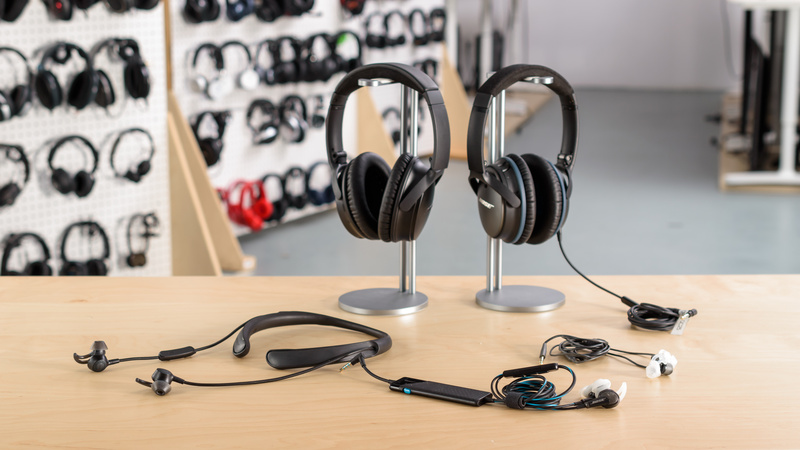 For more Bluetooth headphone options check out our best wireless recommendations here. The Bose QC 20 have a 1/8 TRRS analog audio cable that does not have microphone compatibility with consoles. 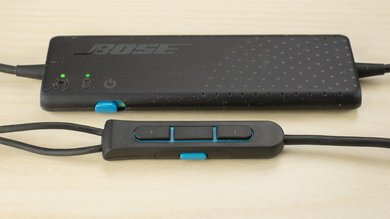 The Bose QuietComfort 20 headphones do not have a base station or a dock. If you want a noise canceling headphone with a dock, then try the Turtle Beach Elite 800. 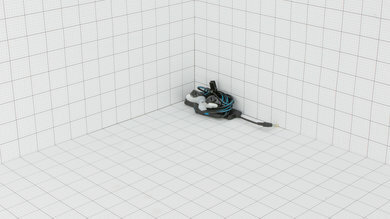 The Quiet Comfort 20 have a wired connection with negligible latency. The Bose QuietComfort 20 are good commuting headphones thanks to their strong isolation and compact design. 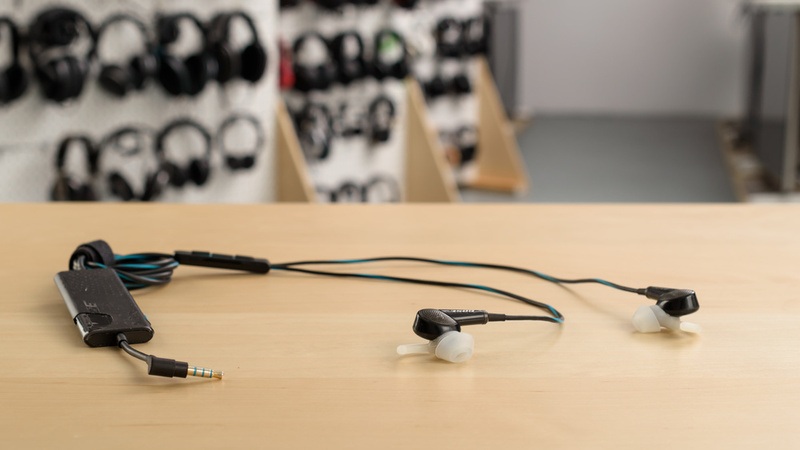 They have comfortable earbud tips that you can wear for longer than most in-ear designs and they're fairly easy to use with a durable build quality. Unfortunately, they do not sound as good as some of the more recent releases by Bose and their wired design feels a bit limiting and compared to some of the newer wireless earbuds available on the market like those from Jaybird. See our recommendations for the best noise cancelling earbuds and the best earbuds for sound. 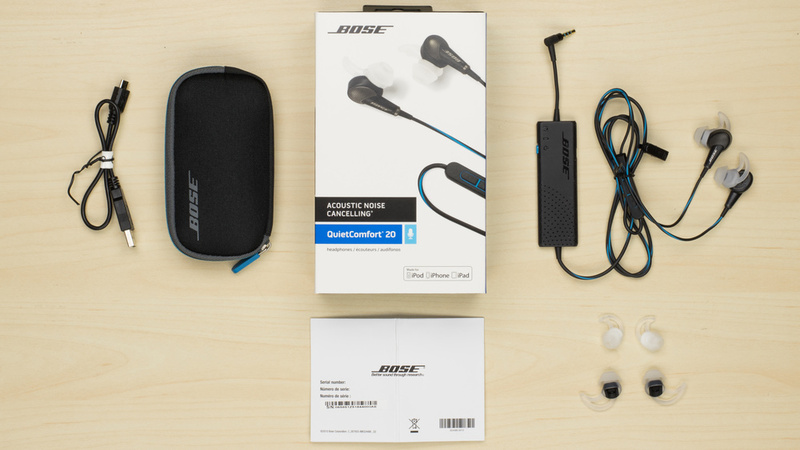 The Bose SoundSport Wireless have a similar design and overall score as the Bose QuietComfort 20 but have much different use cases. The SoundSport Wireless are a bit more practical for every day use and sports since there are no cables to hinder your movements. They also have a better-balanced sound quality that does not sound as bass-heavy/dark as the QC 20. The QC 20, on the other hand, are better travel and commuting headphones thanks to the strong noise cancellation that blocks a lot more noise than the semi-open of the SoundSport Wireless. They also have a longer battery life and no latency for watching videos since they are wired. Decent for mixed usage. The Bose QC20 are a versatile enough for most use cases. They have strong isolation that makes them a great choice for the commuting, they're also compact and stable enough for sports. They have a comfortable earbud fit that does not leak much so you can use them at the office. Unfortunately, their sound is subpar when compared to more recent releases by Bose like the Soundsport Wireless or QuietControl 30. Mediocre for critical listening. They're comfortable for long listening sessions but they have a slightly dark sound that overemphasizes bass at the expense of instruments and vocals. 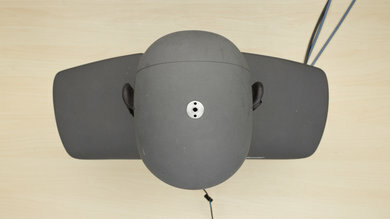 They also have a slightly closed sound due to their closed, noise cancelling design so they won't be the ideal choice for more critical listeners. Above-average for commuting. They're comfortable and compact. The noise isolation significantly reduces the ambient noise of regular commutes. They also have a good battery life and a simple and efficient control scheme. Unfortunately, their sound quality may be a deal breaker for some. Good for sports use. The Bose QuietComfort 20 have a stable and comfortable fit that won't fall while exercising. They're also small and easy to carry around. Their noise isolation will cancel the ambient noise of any ambient gym but they may be too closed for runners that need to monitor their surroundings. Above-average for office use. They don’t leak much, and their noise isolation will block a lot of office chatter from seeping into your audio. They're also comfortable enough to wear for long periods of time, and they have a long battery life. Unfortunately, their sound quality may be a deal breaker for some. Mediocre-at-best for home theater. They're more comfortable than typical in-ears and have a low latency wired connection. However, they don't have the best range, which means they won't be the ideal headphones to comfortably watch movies from your couch unless you have an audio cable extension, and their sound quality may be a bit too bass heavy for some listeners. Average for gaming. They have a comfortable fit and a low-latency wired connection that makes them decent for gaming. Unfortunately, they have a mediocre sound and microphone quality, and you can't customize them like most gaming headphones.